Who doesn’t love a personalised mug? They are the perfect gift when you just cannot think of anything else. 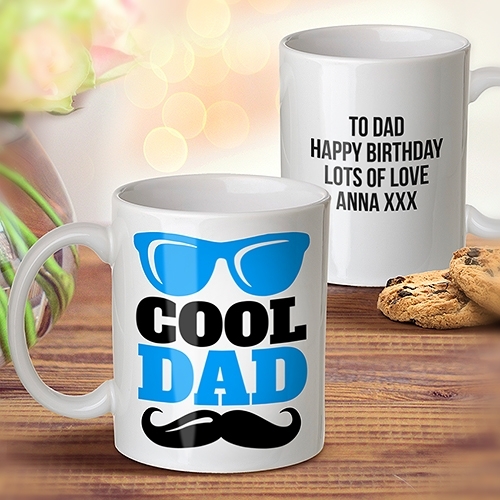 Say goodbye to boring mugs, bring them to life with your own unique personal touch. We offer a vast range of customisation options - with our intelligent design interface, you can completely customise a mug in a matter of seconds. Grandparents are probably the most difficult to purchase gifts for, what could you possibly get your grandmother that she does not already have? How about a mug telling her she is the best in the world! You can compliment that message with your own custom message, there’s plenty of space – we offer 4 lines of text for your unique message. We’ve even got thematic mugs to accommodate for all the yearly celebrations. 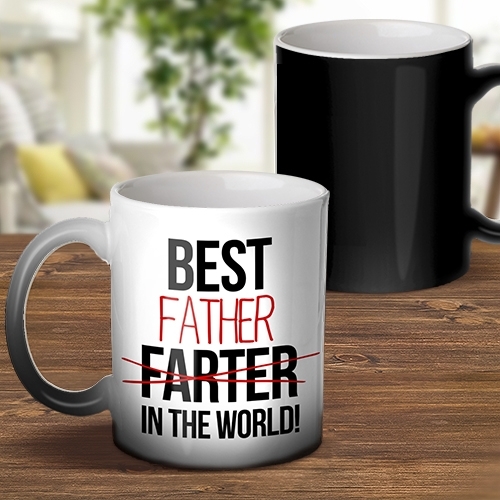 Father’s day mugs and mothers mugs make those last minute gift ideas a life saver. The best thing about a mug gift is that it is one that will be enjoyed, not just once, but daily. Our highly specialised printing machines ensure that all our designs are protected from fading, so colours will remain fun and vibrant throughout daily use. Once the designs have been submitted, you can receive them in one of two ways: Absolutely FREE – Come pick it up from the store, we’ll email you when it’s ready! Mail Delivery – we offer both standard and express delivery options. Have the perfect custom design in mind? Start designing today!